Cats can be one of the most difficult pets to please, but when they are happy everything seems to be worth it. Start spoiling your little prince or princess with our great range of supplies, our collection is large and constantly growing. 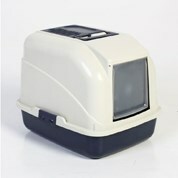 Whether it is about toys and leisure or the absolute essentials, you can get our items with confidence that you will please your feline. 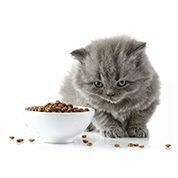 Start getting everything your cat demands and needs when you browse through our collection of online cat supplies. 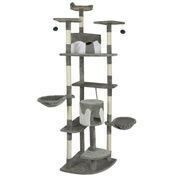 We have towering cat scratchers combined with houses and play areas, these are perfect for getting your cat active and playful. 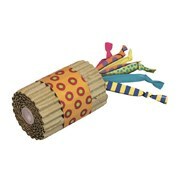 These come in many different sizes and colors, you can choose depending on your cat’s taste or how many cats you have. They will surely enjoy our luxury beds and blankets that are made for pets, they protect furniture from scratches, fur and dirt in general. Additionally, we also have various treatments so you can take care of any pests. You don’t need to go to several pet stores for all your essentials, which takes so much time. Everything is right here and with just a few clicks, you can have your order on its way to your home. We ship to any Australian address, both metro and regional. If you have any queries about our products, feel free to contact our friendly customer service team through our online form or give them a call during business hours.